Completed tasks to calculate the ranges according to bootstrapping and leaving nodes. 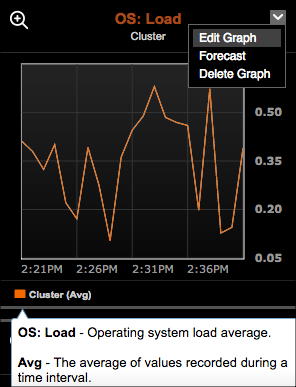 Operating system load average. One minute value parsed from /proc/loadavg on Linux systems. Rate at which new individual hints are stored on this node, to be replayed to peers. Rate of coordinated reads to a node where that node is not a replica for that partition. Rate of coordinated reads to a node where that node did not choose itself as a replica for the read request. The number of hints currently stored on disk, to be replayed to peers. Rate of successful individual hint replays to peers. If one or more individual hints fail to replay in a batch, the successful hints in that batch will be replayed again and double counted in this metric. Rate of failed individual hint replays. Replay of a single hint can fail more than once if retried. Rate of timed out individual hint replays. Replay of a single hint can timeout more than once if retried. Rate of successful individual hints replayed to this node, from other peers.